I love a great many things about Seoul. Its people. Its transportation. Its history. There are five Grand Palaces and I saved one of the best for my last visit: Changgyeonggung. 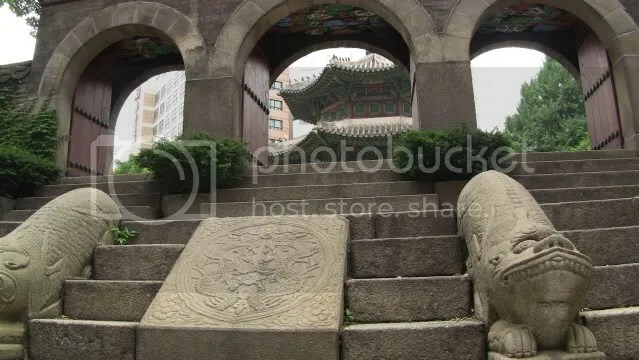 It happens to be the oldest of the Royal Palaces and named Suganggung before King Sejong gave it its current name. As with the other palaces in Seoul, it was completely destroyed by the Japanese and later rebuilt. Over the years, it has served a variety of functions, including as a zoo. What makes this palace different than the others in Seoul, is how relaxing the grounds are. Many families come here and relax among the trees and large lake-side benches. When visiting Seoul, this is definitely one sight to see. One of the things I try to do with my travel videos is to make them fun, interesting, and educational. When I returned from holiday this summer, I saw that Experience Korea had launched its Season 3 competition, focusing on traveling in Korea. With only a day to prepare an entry, I opted to submit my Wongudan video. I was notified last evening that it was selected as one of the honorable mentions in the competition. I am extremely grateful for this distinction and plan to continue making shorts that extols Korea’s hidden treasures! Ah yes… Jeju Island. Just saying its name invokes strong emotions akin to living in paradise. Jo and I set off on an epic adventure Friday night, riding in a bus to a Busan ferry terminal, only to get there at the same time as a typhoon hit our island destination. We waited at the terminal until the government ordered all sea-faring vessels to remain in port. This crushed us, as we were really looking to a two-day whirl wind trip around the island. To make the most of the day, we then jumped back in our bus and headed inland to Boseong (보성), home to some of Korea’s best green tea farms. We spent a few hours there, eating and walking in the rain before jumping back in the bus and driving to Gunsan for a quick walk along the world’s longest seawall. All in all, it was a fun 23-hours… and even though we never made it to our initial destination, getting out of the city was a blast. When the weekend comes, it most certainly is time to play. One of the things that Jo and I do during the week is try to find something new and exciting to do. In fact, for the next month, we have nearly every weekend planed with a fun outing or gathering. We weren’t sure what we had wanted to do this past weekend, but thankfully the KTO posted a link on their Facebook page for the Taebaek Sunflower festival. There were several options on getting out there, but Jo and I settled on grabbing an Intercity bus from Suwon and resting along the way. Once there, we walked over to the Tourist Information booth and were instructed to take a taxi to the festival. Being up in the high country was a welcome change after over a year in the concrete jungle, I really wanted to see some alpine areas. Taebaek was just what the doctor ordered, too. Everything was spectacular, even though most of the sunflowers had moved on to… greener pastures (I know… lame). From the festival area, Jo and I opted to taxi-it to Yeongyeon Cave. It was even a little higher up the mountain and took us on a 800 meter walk underground. It was an amazing experience, mostly because after being in the direct sunlight for hours, the cool, damp cave was welcomed. I thought it was strange that they gave us hard hats when going into the cave, but Jo and I soon realized why they did this. While the trail system in the cave is extensive, it really isn’t tall-people friendly. 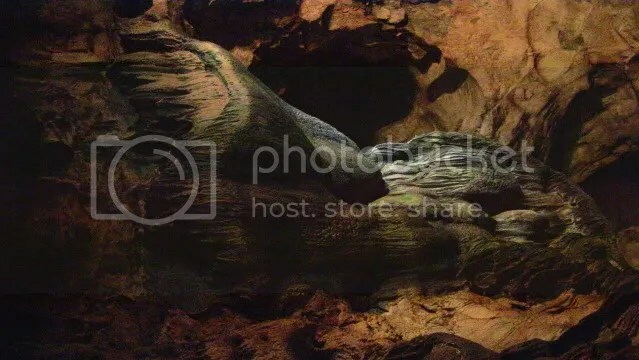 Several times low outcroppings darted into the path, and on more than one occasion, I had to get down on my hands and knees to traverse the cave. That being said, it was a great experience, one that I’m thankful Jo and I made together. The one thing I didn’t understand was the pace that others were taking through this natural wonder. Jo and I took our own sweet time (maybe 90 minutes) to go through everything. Everyone else seemed to be in some sort of race to see how fast they could get through the cave, and in my opinion, missed out on seeing how beautiful it was. After lunch, we headed out to Hwanji Pond. It’s located about 10 minutes from the bus terminal and was nothing less than an oasis in the center of town. Everything was so peaceful there, that I think Jo and I thought this was the highlight of the trip. What’s really unique about this ‘pond’ is that since it produces so much water, it’s actually the source of the Nakdong River. If you have a free day and want to explore some great natural wonders, I really recommend hopping on a bus or train and giving Taebaek a try. There’s a lot to do, and I know that Jo and I will return to visit some of the other natural wonders in town. Corregidor was an awesome adventure. It was something that Jo and I have been planning for some time. The day started off with a ferry ride across the bay and then a day tour on Corregidor. The tour was good, but rushed. The reason being, is that there’s only one ferry each day. So those not staying overnight, have to be back at the dock to head back to the mainland. Since there’s only one ferry, everyone is lumped into one group. So even though Jo, myself, and others had all day and night to explore, we were forced to cram everything in one afternoon. 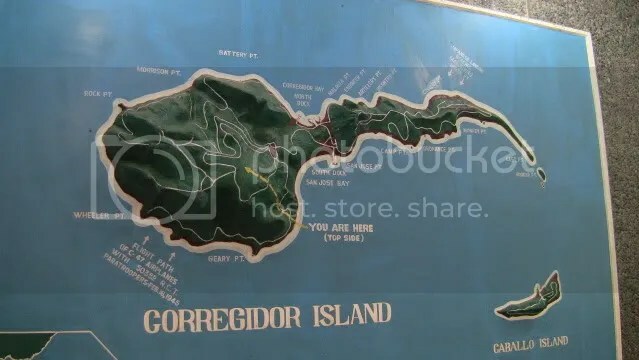 We stayed at the Corregidor Inn. A nice little hotel on the island. Our room came with a rather large bathroom, king-sized bed, and excellent view of the Malinta Tunnel. The hotel also boasted a restaurant and bar, which we made good use of. The hotel also offers basketball and swimming facilities,too. In short, it’s a great little place to stay. I think in all the building there was one Television, but Jo and I opted not to partake in that, but enjoy the evening adventure package. The evening tour starts out with a walk through the hospital ruins and then takes you out to one of the most beautiful sunsets I’ve ever seen. 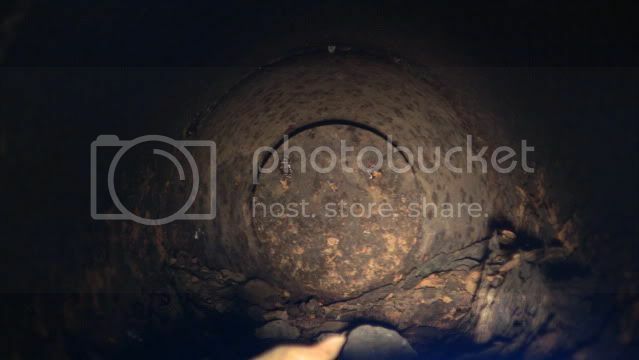 From there, you full explore Malinta Tunnel. 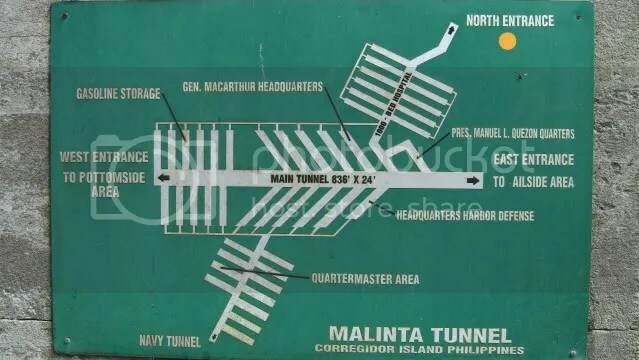 It is a massive network of tubes originally built by Filipino prisoners in the 1920s. We pretty much explored all the main areas and even found one Japanese soldier’s femur bone. It was quire surreal to be inside at night. While the tour does provide flashlights, I recommend bringing your own, since the once provided didn’t last long. The following morning, Jo and I slept in and treated ourselves to a great Filipino breakfast at the restaurant. From there, we went ziplining, right from the hotel to the beach. At the beach, we were met by the car and driver we had hired the previous day to take us around for a more personal view of the island. This was great, since it allowed us more time to explore some of the ruins in greater detail. It also allowed us to see some unexploded rounds, left over from WWII! I have to say that this was a great experience, and if you’re in Manila, you should really take the time to visit Corregidor for two days.